2. Activate AP mode from Network Settings. 3. Shutdown your Prota Pi. 5. Power on Prota Pi. 6. Your Prota Pi activates the AP mode. 7. Follow the steps starting from the third step on this article to change the network of your Prota Pi. Sometimes the AP mode doesn't work as it should. You can use this workaround to connect to a new network if you were to stumble into a problem with the first method. 1. Turn on your smartphone's hotspot. 2. Go to the Settings app on your Prota Pi. 3. Find the hotspot from the WiFi list, under network settings and connect to it. 4. Take it to where you want to install. 5. Turn on hotspot again. 6. Power up your Prota Pi. 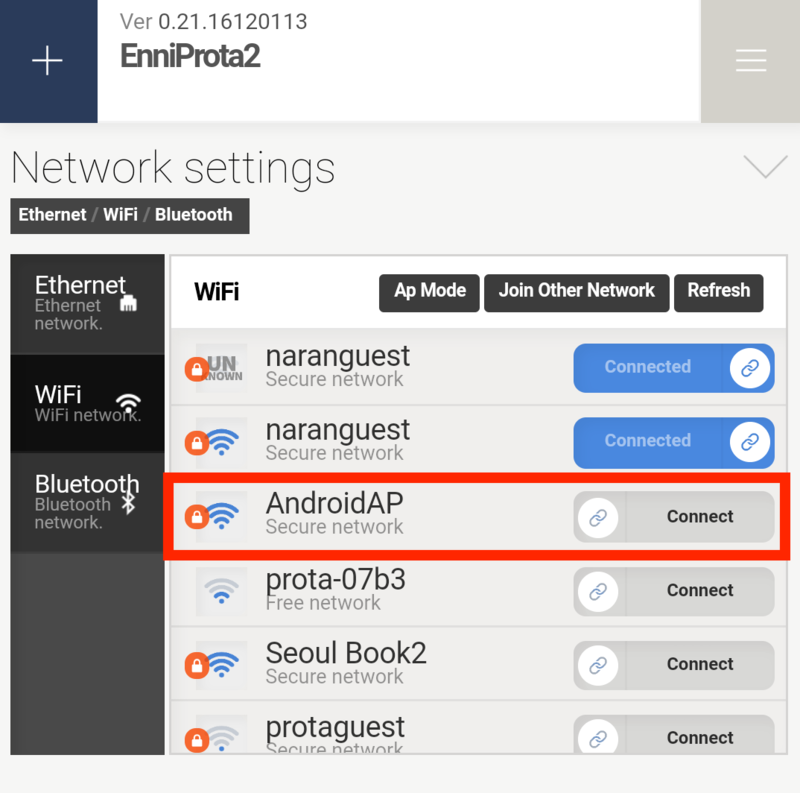 It remembers the last network where Prota was connected, so it will connect to the hotspot automatically. 8. Go to Settings app in Prota Pi and connect to your preferred WiFi. Please activate AP mode before you move Prota Pi. 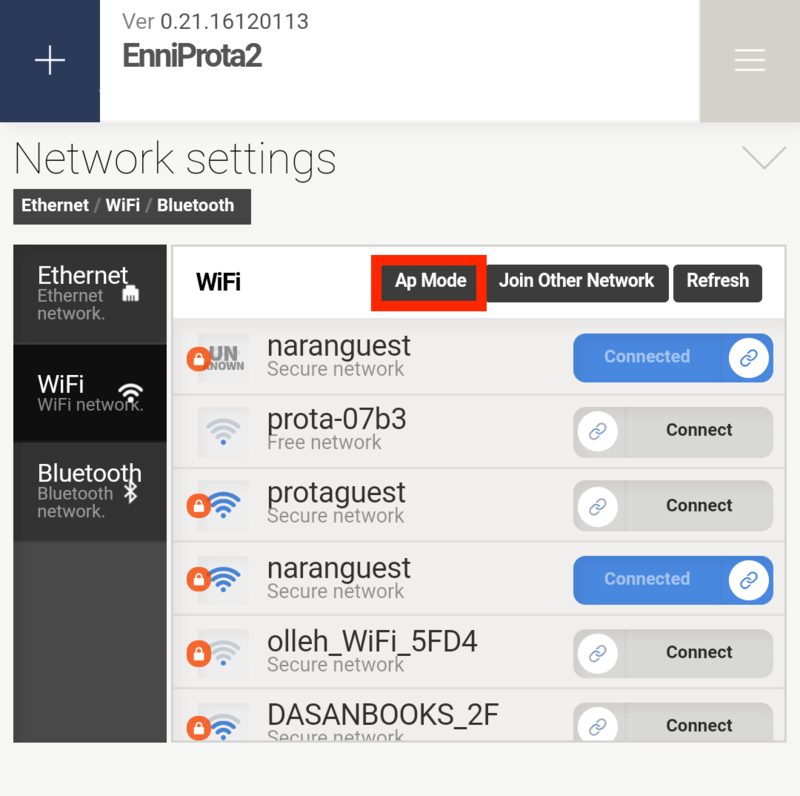 You have to activate AP mode while Prota is connected to the original network.